America’s church attendance is at an all-time low. Dwindling congregations are troubling, but don’t give up on packing those pews just yet. A few simple changes to your website can help you fill your next church service in no time! 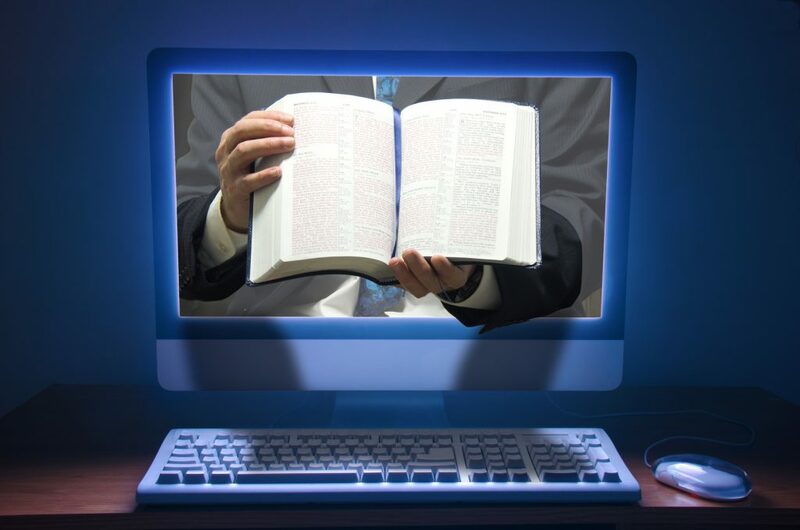 Websites are the virtual representation of your church and its message. What kind of message are you sending with yours? Keep reading to learn more about updating your church’s website. How Does Web Design Relate to My Church Service? Quality web design weds form and function to create an engaging, high-ranking site. Not sure what we mean when we say “high-ranking?” Consider your last Google search. The companies you found near the top were optimized through Search Engine Optimization (SEO) to appear first. They scored highly on design, meaning their sites are user-friendly and look great. As you make your service more easy to find through your website, you’ll, in turn, attract traffic that might never visited you otherwise. Keep reading to learn how to optimize your church’s site to increase church service attendance. A well-organized website will convey your church’s message and purpose. In addition, clearly defined URL structures are critical to improving search engine rankings. Search bots use URL structures to navigate sites. Well-organized sites provide bots with quicker answers, which boosts your search engine rankings. Your homepage is the first impression of your church, and a tidy page is a welcoming page. People are a lot less likely to engage with your site if they find your homepage unappealing. Cluttered pages are overwhelming and unprofessional. Focus on highlighting the most important information about your church on the home page. Compelling, optimized content is a guaranteed way to boost search engine rankings while connecting with other Christians online. Search-optimized content boosts your rankings, and that helps people find and connect with your message more easily. Think of the key terms and ideas you want to resonate with your church. Then, write regularly on these topics (via a blog or other forum) to help form that association. People need to know how to reach you, and they don’t want to have to search for it. Clearly displayed contact information is crucial. One way to add a little dynamism to your contact page? Encourage people to come out to events with an updated calendar. Or, add a Google Map to your website. This can help people more easily find your church or special event venue. Your website should be visually engaging. Generic stock-photos or clip-art won’t do the trick. Invest in high-quality, professional images to really wow! In addition, make sure you spend some money on an excellent webpage design. If your site looks dated, people might think your church is dated as well. Running a church is hard work. That’s why it pays to leave your webpage in the competent hands of a professional web designer. A web designer helps you quickly realize your vision and provides invaluable support. Contact us today to learn more about the web-related services we offer. Spread the message of Christ, and optimize your website today! Getting married in a church is perfect for a religious ceremony. It’s also the ideal venue if you’re looking to save money. But, transforming a church to fit the vision of your big day takes some planning. Some churches are already ornately decorated, and others have a more old-fashioned feel to them. If you’re getting married in a church, there are wedding accessories you’ll want to have. Keep reading for 6 items that’ll complete the look for your elegant church wedding. Church flooring isn’t usually the nicest to look at. To avoid unsightly carpet ruining your big day, purchase an aisle runner. Runners are a great way to finish off the look of the church. Online you’ll find all sorts of aisle runners that you can customize. Consider adding you and your significant other’s initials to the runner. You can also add a design, such as lace or a floral look. One of the most important wedding accessories is flowers. There are many options to use floral decor as a way to transform your church venue. One option is to use standing displays. Standing floral displays are a great way to transform a drab backdrop. Standing displays can add height and drama to your wedding decor. You can use these displays to line the walkway. Or use two of them to center the area where the bride and groom will stand. Another option is to use flowers to decorate the pews. To save money on floral decorations, you can shop at a floral supply store. Here you’ll find flowers at warehouse prices. Tulle and weddings are perfect together. You can use tulle for all sorts of decorating purposes. From pew bows to draping to create a canopy effect, the options are endless. White tulle is elegant and classic. Ivory is another color that is subtle yet noticeable. Candles are easy and inexpensive wedding accessories. Before buying candles, make sure you understand the rules of the church. Some allow open flames while others don’t. To minimize safety hazards, it’s easiest to use flameless candles. This way you get beautiful candlelight without the worry. You can buy or rent an arch. This will give your photographs an amazing focal point. There’s nothing more elegant than standing under a beautiful arch as you become husband and wife. One of the most striking pictures is of the bride making her way into the church. While decorating the inside of the church is important, outside decor is just as important. Hang floral wreaths on the church doors. You can also decorate the handrails as well as the pathway leading up to the church. Outside decorations ensure beauty in each of your wedding photographs. With the right decor, you can turn any church into a beautifully elegant wedding venue. But before you can decorate, you’ll need to first choose a church! At Christian Web Host, we offer safe and secure hosting solutions for churches. Get your church noticed with a .church domain. Contact our team today and let us help you build your web presence. There is nothing more beautiful in this world than the perfect church wedding. Your friends and family all had nice ceremonies and wonderful receptions. There is just one problem. You’re tired of the same old unity ceremony all of your friends used. You want something different. Something new. Something you and your significant other can look back on and give yourselves a triumphant smile because you know you absolutely nailed it. Keep reading. We’ve got some great ideas. This is also a cool way to bring children from previous endeavors into your new family. How it works: Each member involved in the ceremony has a different colored sand. Said members, one at a time, place their respective sands into a new vessel to keep forever. Why it works: Unity Sand represents your experiences and memories. Every passing second, minute, and hour. Ever heard of the sands of time? It also represents the mingling of two fates. What is done cannot be undone. Imagine separating every green, blue, pink, and purple grain from these containers. Impossible, right? This is a similar ceremony and is great for any church wedding, inside or out. How it works: Each member of the group will add a different colored water to a new vessel. Why it works: This idea represents a similar feel to the sands, but it is a complete melting of fates. What was two or more is now one. Pro tip: Play around with various colors to get the exact hue you want. Nothing says new life like a plant. This is an awesome variation for people who love the outdoors, recycling and living a green lifestyle in general. How it works: Each member of the party carries a small pot of dirt. The tree will be in a different pot. The members add dirt to the tree’s new home and then water it together. Why it works: The plant represents two lives coming together as one and creating something beautiful from nothing. The marriage and new life grows and flowers just like the tree. Have a custom puzzle created or use a favorite puzzle. How it works: Each member of the group will add a piece. The final member will create the finished puzzle. Why it works: This represents the individuals coming together to form a whole. Not just that, it also symbolizes the feeling of being whole when you finally meet the right person. What better way to celebrate a unity ceremony than over a steaming pot of tea? How it works: Each member makes a pot of their favorite tea and then combines them. All parties involved drink and share this new blend. Pro tip: Blend your favorite teas in advance to not only make sure it tastes good but also to make sure the new blend is indeed better than the individual parts. What do you think of our ideas? Leave a comment below, we’d love to hear from you.